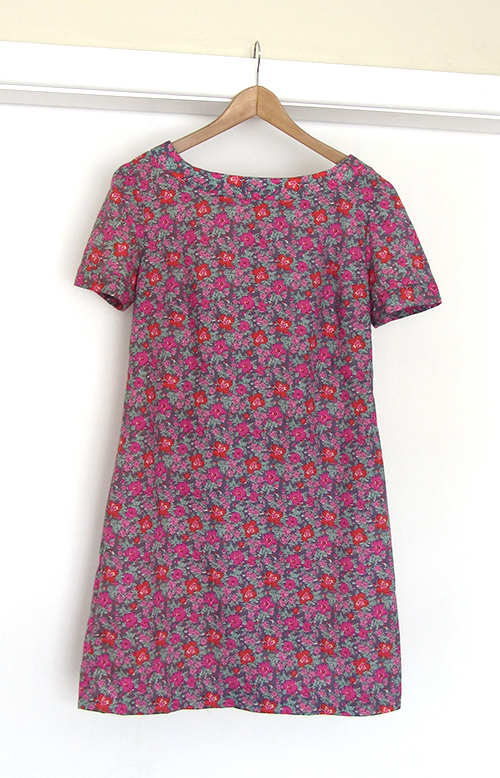 Meet my June dress: a floral cotton shift dress made with the NewLook pattern #6176. First I called it Victoria because it is the best quality I have been able to achieved so far. I am particularly proud of the top stitching. But I also made great progress in terms of edge finishes and pressing seams for a neat finish. I am also delighted with the fabric. 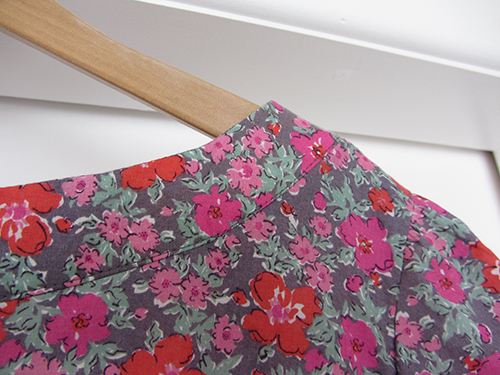 I can’t get enough of this pink-grey combination though I was not going for this initially. This is a real case of fabric inspiration. You know when you see a pattern, don’t feel you like it but somehow know you have to get it because this is the one. And then you madly fall in love with it later on. Then I tried the dress on and realised it was a tad too tight. But like a largish tad. This dress is so pretty I have now an extra motivation to get rid of these extra kilos. This will be my first target: be able to fit in that dress I now call Victoria Target. I guess only 5 belly kilos would do the trick, easy (ahem). Anyway I have some left over fabric, maybe enough for a skirt that would cater for my summer muffin tops? Nice material! I am actually trying the same pattern (New Look 6176). So far it was simple…, until I got to the neck band…, and I am stuck there…, I don’t know why I still could not figure it out… Any advice? How to create a graphic post for your Facebook page? One for the bucket list. I finally got to wear one of those graduation hats.